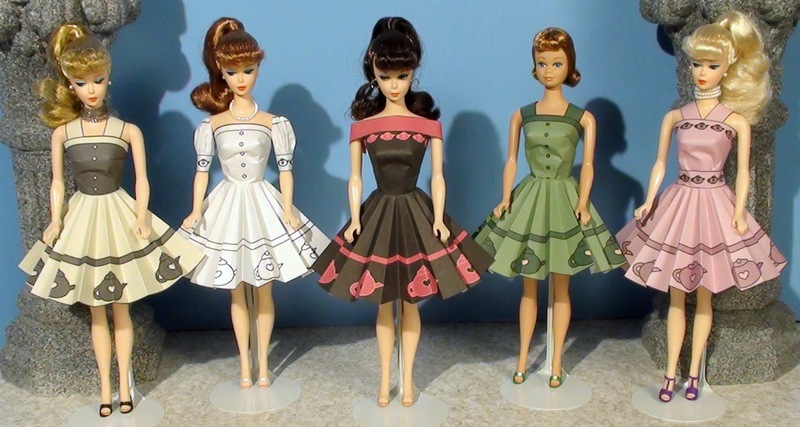 Going from left to right, these are all vintage reproduction Barbies. Each dress begins with a top and circle skirt. Barbie Solo in the Spotlight has shoulder straps. Wedding Day Barbie has puff sleeves. 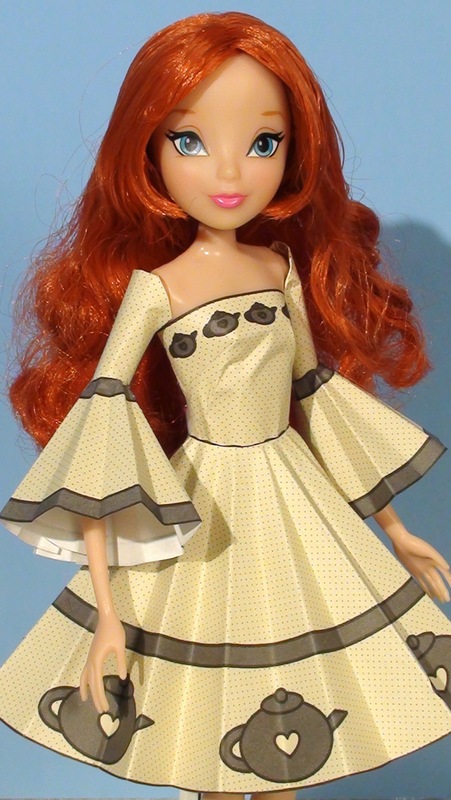 Barbie 35th Anniversary Brunette has a wrap around collar. 35th Anniversary Midge has shoulder straps. Enchanted Evening Barbie has a belt and shoulder straps. La Dee Da, Tylie is wearing a top, circle skirt, and wrap around collar. Bratz Kool Catz Pink Panther Doll is wearing a top, circle skirt, and puff sleeves. Bloom is wearing a top, circle skirt, and combo sleeve straight sleeves + half small circle sleeves. Barbie wears a top, straight skirt, and belt. Briar Beauty is wearing a top, straight skirt but with no belt, and wrap around collar. 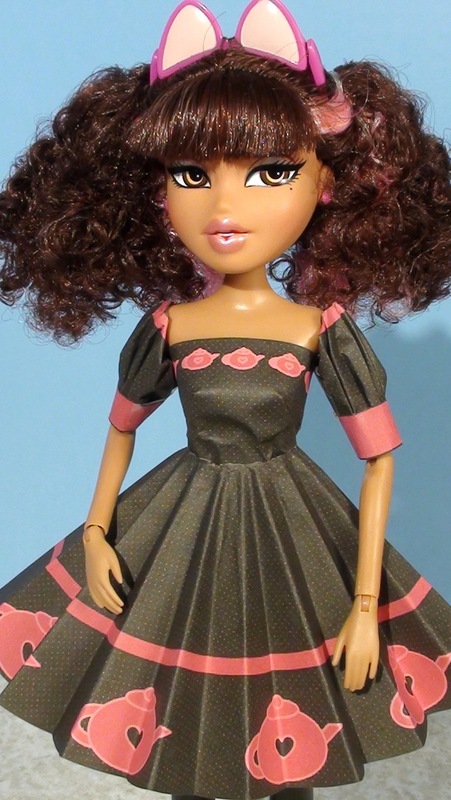 A Sparkle Girlz doll from Walmart, is wearing a top, straight skirt with belt, and shoulder straps. In the blue and cream dress near the center, Dorothy is wearing a top, straight skirt over skirt with belt, and middle puff sleeves.